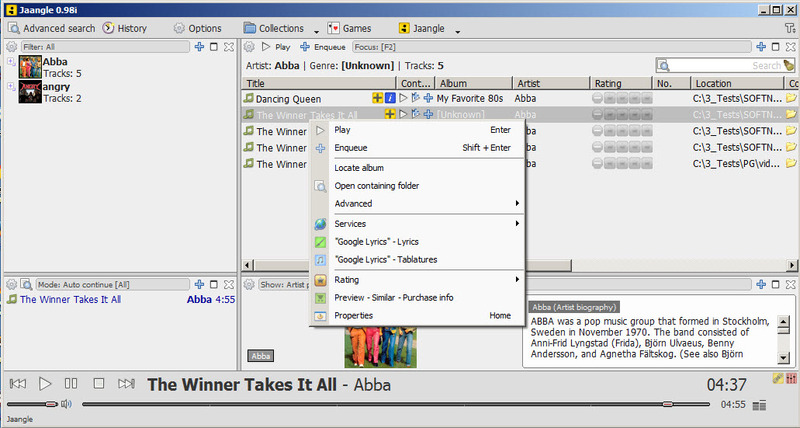 Jaangle is an audio organizer able to search, detect and organize your audio albums. 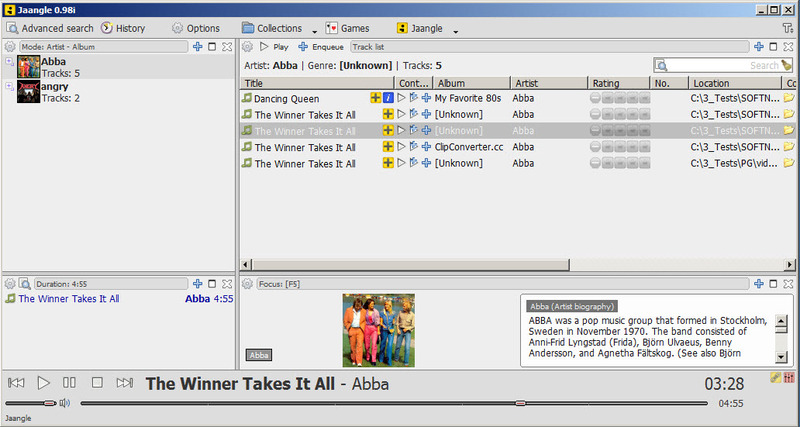 The program displays additional information such as a cover and a description for each song, all these retrieved from different online services such as last.fm. 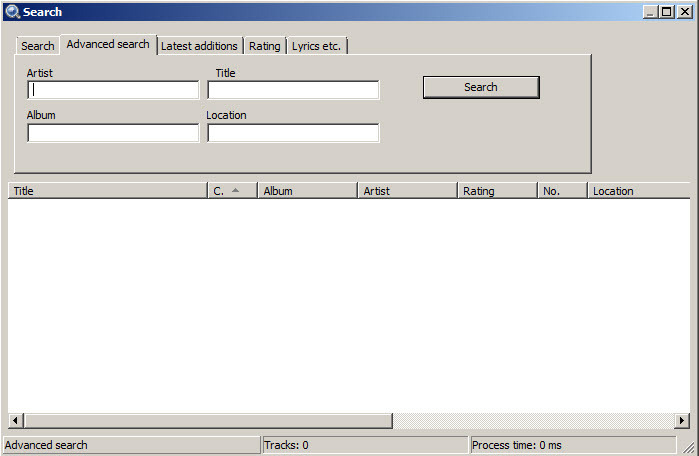 The program allows you to search audio and video files by name, artist, album and you can give ratings to each song. 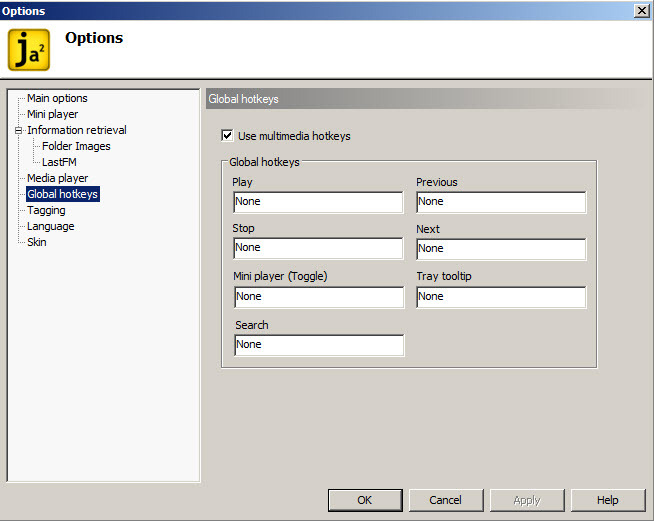 It includes an audio player with basic functions: shuffle, play continuously, randomize etc. The songs can be organized into collections. Jaangle is available as free download for Windows 32-bit and 64-bit. Jaangle is 100% clean and safe to install. You can see the test results here.